An essential part of any financial plan, savings accounts don’t always get the credit they deserve. A simple way to start building healthy financial habits. Commit to longer-term savings for higher, fixed rates of return. 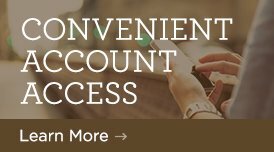 Earn more competitive rates and keep easy access to your money. Ways to save for retirement or education expenses.